I am delighted to announce our fifth title in the increasingly popular Airframe & Miniature series, The Messerschmitt Bf 109 (Early versions V1 to E-9 including T-series) – A Complete Guide To The Luftwaffe’s Famous Fighter by Richard A. Franks. This fifth book in our much acclaimed series contains a massive 160 pages packed with vital information that no active modeller and Luftwaffe enthusiast should be without. 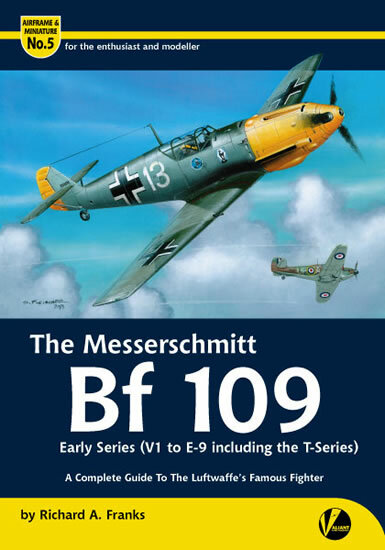 The Messerschmitt Bf 109 (Early versions V1 to E-9 including T-series) – A Complete Guide To The Luftwaffe’s Famous Fighter is also available from all good specialist bookshops, retailers and ADH Books.